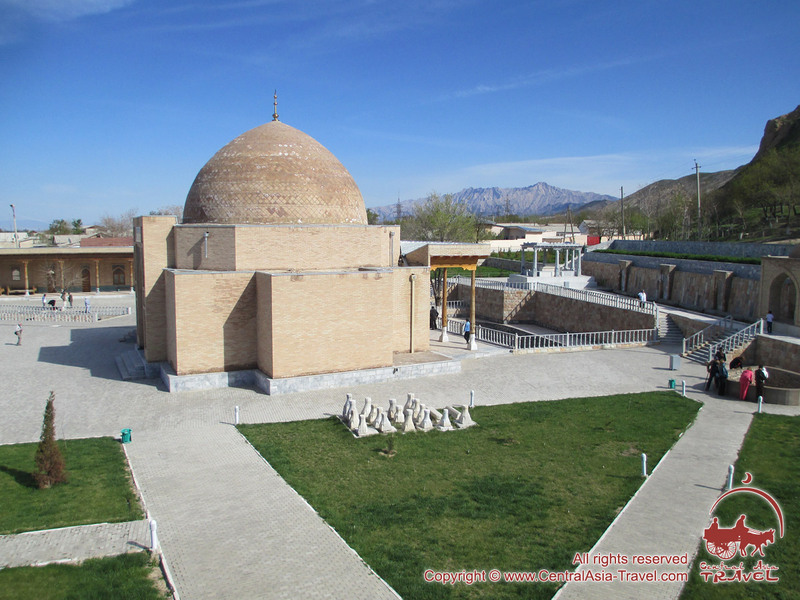 At the very mountainous area of Navoi region of Uzbekistan is located a picturesque ancient town, administrative and culture center of the area - Nurata. 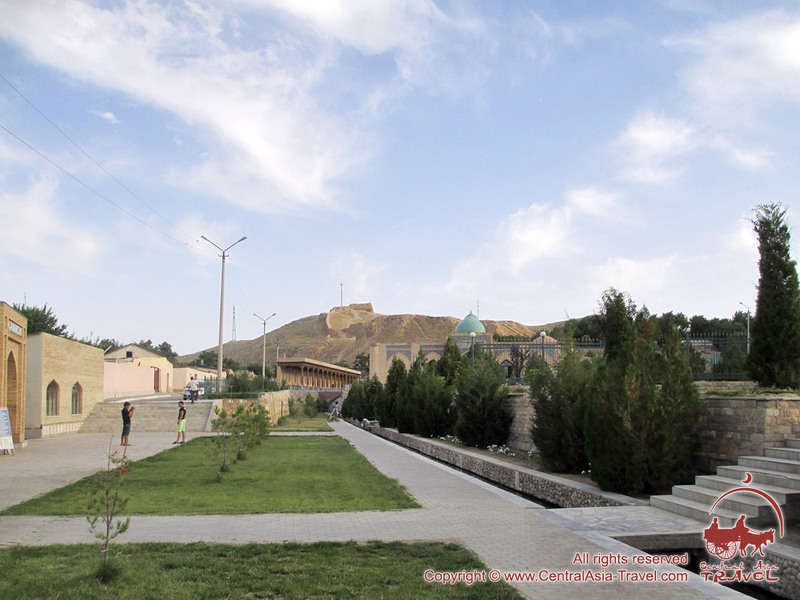 It is surrounded by the range of Nurata mountains, which stretches for 170 kilometers from Jizzakh and Golodnaya Steppe to Navoi and Kyzyl-Kum desert. According to the legend, this place, magnificent for settlement, was discovered by people, wandering about the desert for a very long time. Having become despaired to find salvation, lost wanderers suddenly saw a ray of light and went towards it, being attracted by its glimmer. 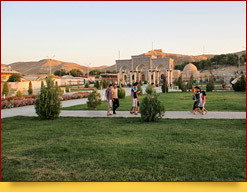 Historians connect foundation of the town with the fortress Nur (in translation means “ray”, “ray of light”), built here by Alexander the Great in IV century B.C. 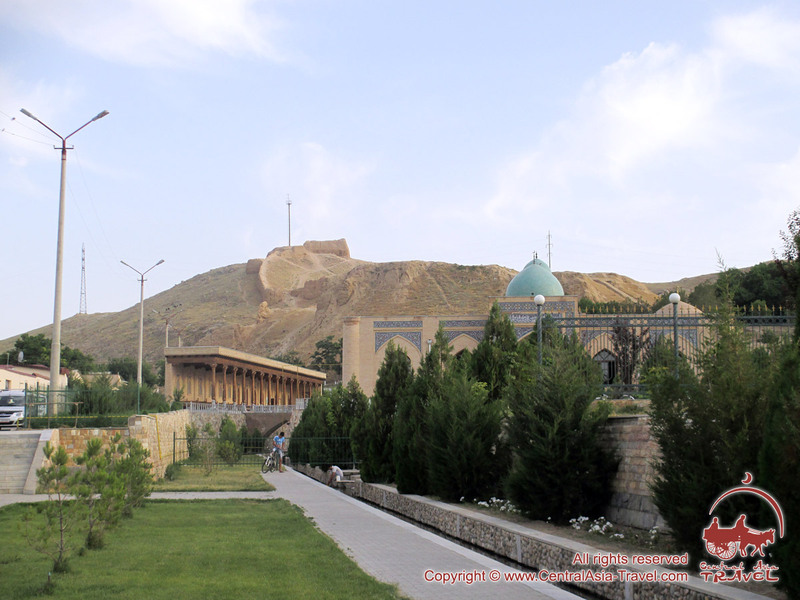 The fortress served as a borderland building between wild steppes and agricultural areas. 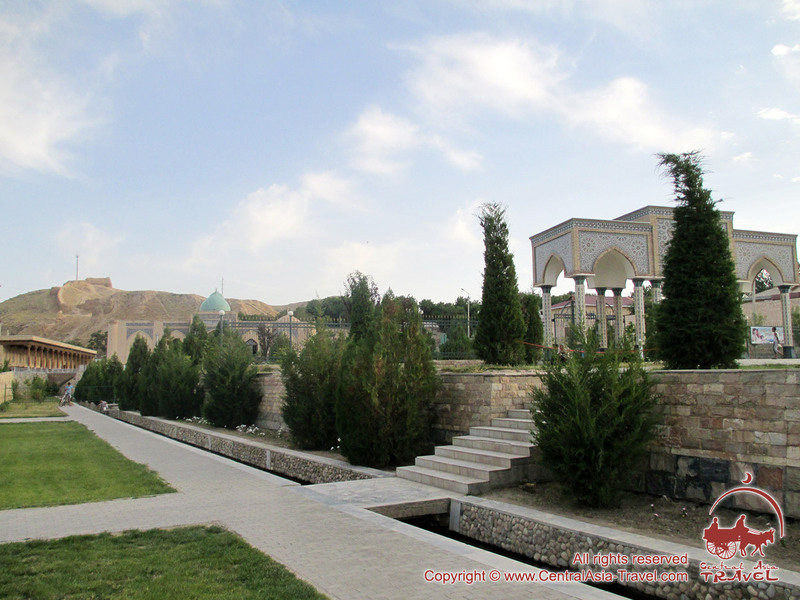 Ruins of the fortress remained till present days and are one of the places of interest in Nurata. 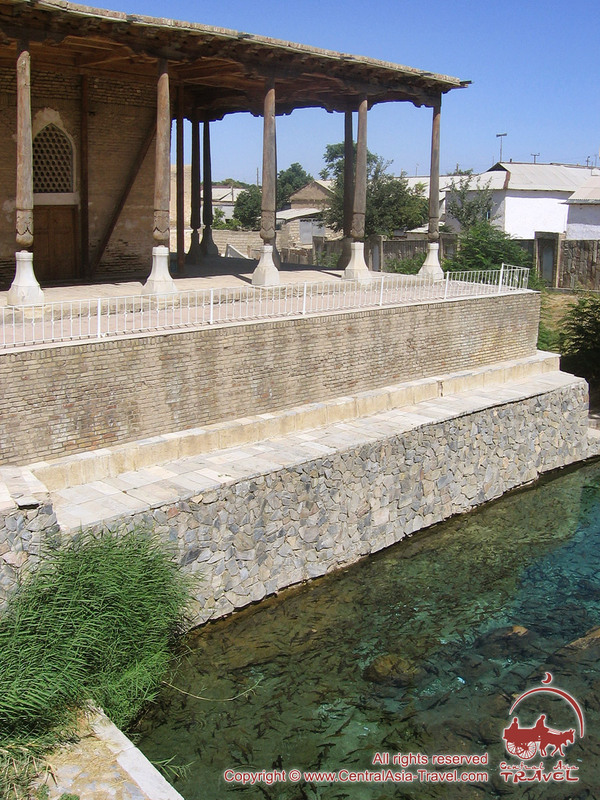 Among the numerous legends about the town there is also a narration about meteor, fell down here, which created a spring with healing water. 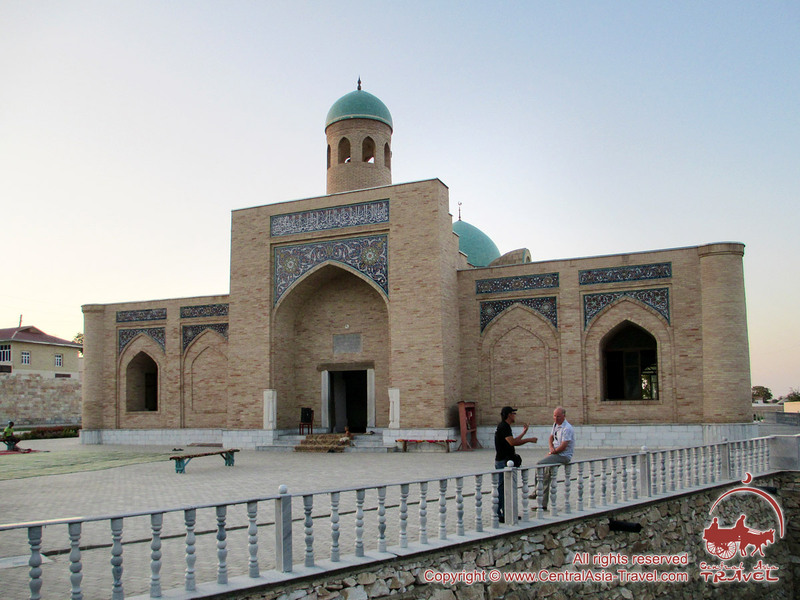 Later there were built Juma mosque around it, attracting glances by a great deal of columns and one of the biggest dome in the whole Central Asia, and mausoleum, which keeps relics of Nur-ota prophet (“Nur” means “ray” and ‘ota” - “father”). 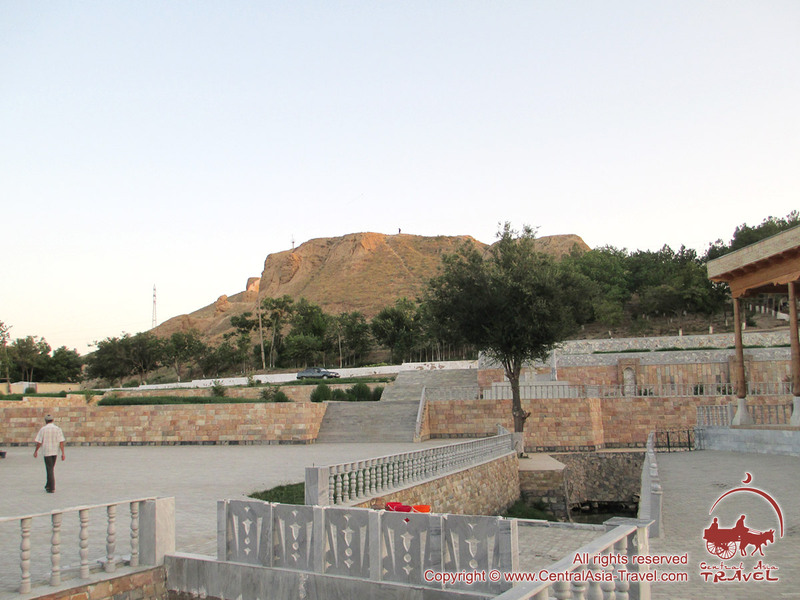 Currently the complex is named as “Chashma”. 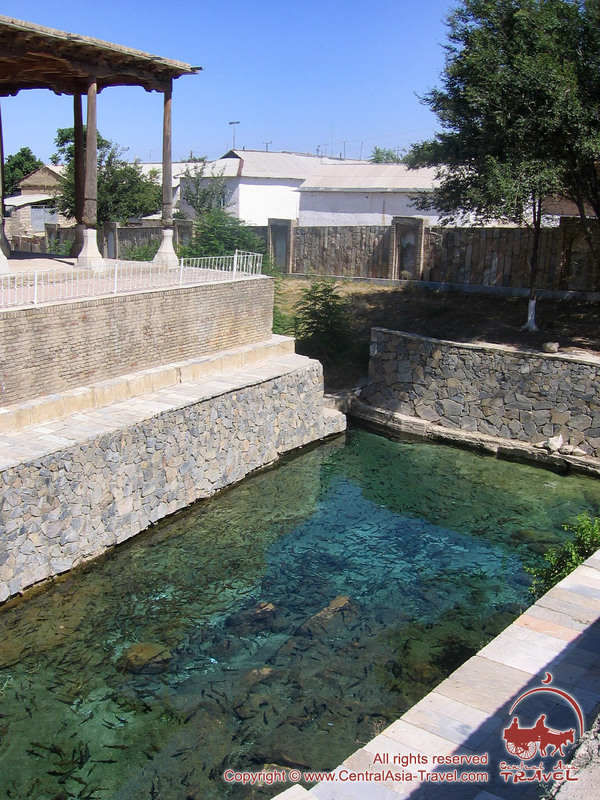 Water in the spring is admitted as sacred. 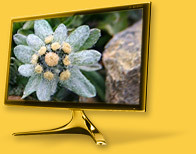 Its temperature holds a permanent grade in 19,5 degrees Celsius. Specialists, investigated water structure, found out a plenty of useful microelements - iodine, silver, bromine. They influence favorably on persons health, strengthen his nervous system and have a general health-improving impact for the man’s constitution. 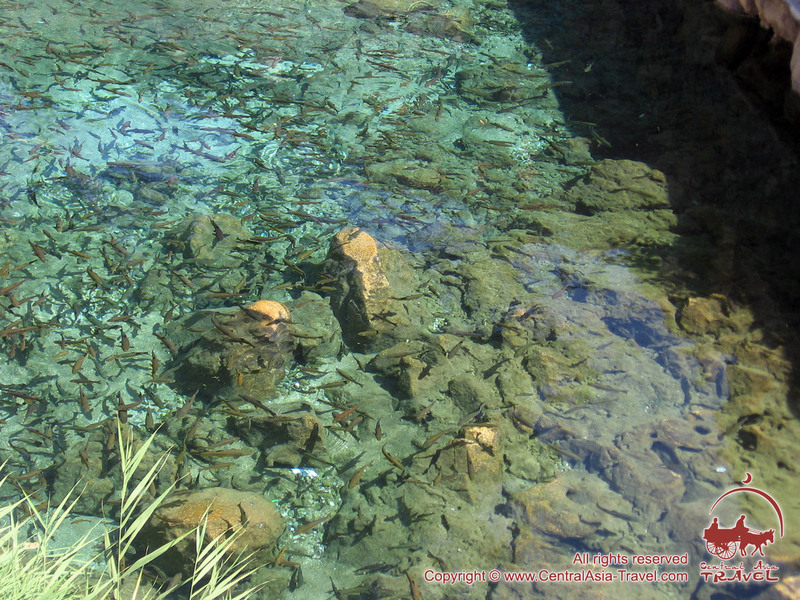 In the spring there also live fishes without scales, named “marinka”. They, just as water in the spring, are considered to be sacred, that is why it is prohibited to catch them and use in meals. 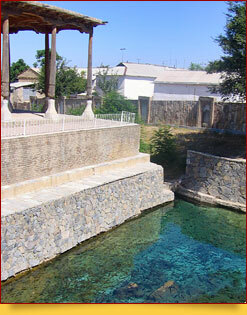 Nurata is the only place in Uzbekistan, where unique system of underground water canals - “kariz” is still preserved (also called qanat, kārīz, kahriz, kahan, kanat, kunut). 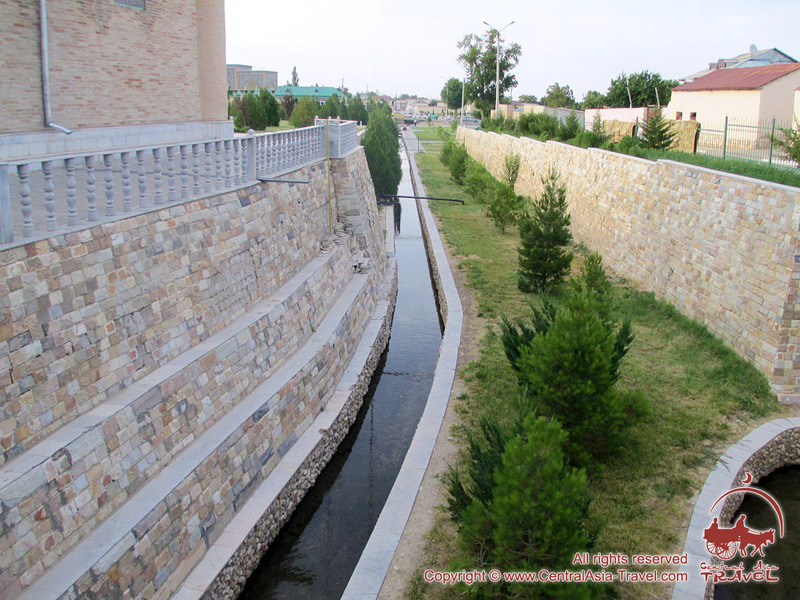 Kariz is a water management system used to provide a reliable supply of water for human settlements and irrigation. They are filled up with sacred spring’s waters. Local residents still use kariz according to their intended purpose. 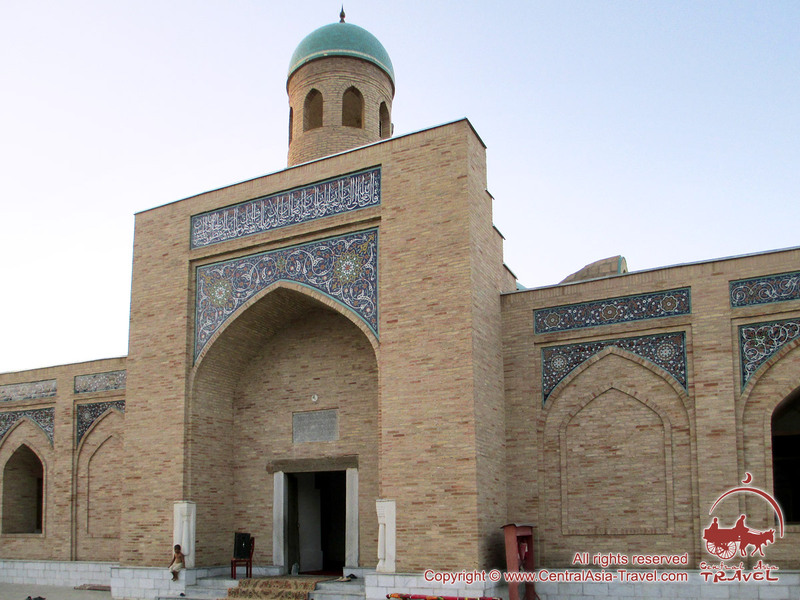 Having come to Nurata, it is necessary to visit Namazgokh mosque - the ancient building, built up in X century. 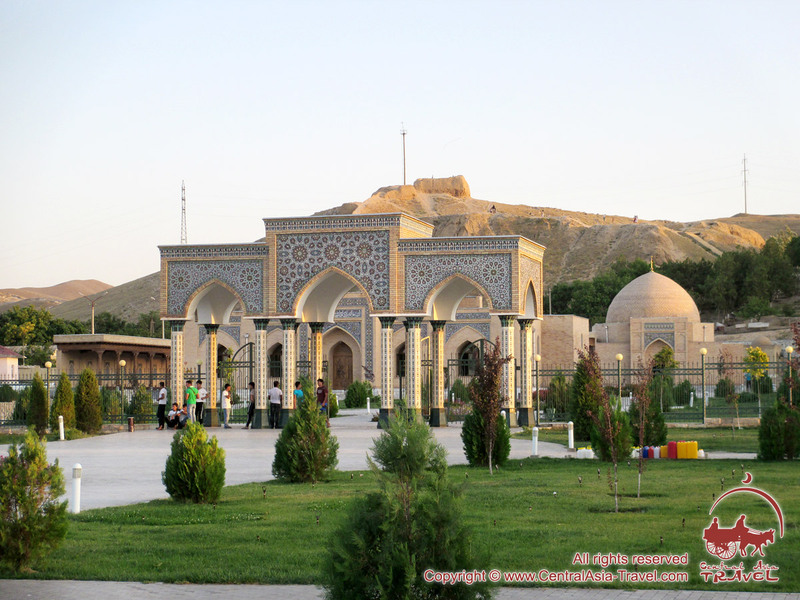 Six centuries later, emir Abdullah, being a ruler at that time, reconstructed the building, and now it appears in front of the guests’ eyes having this very look. 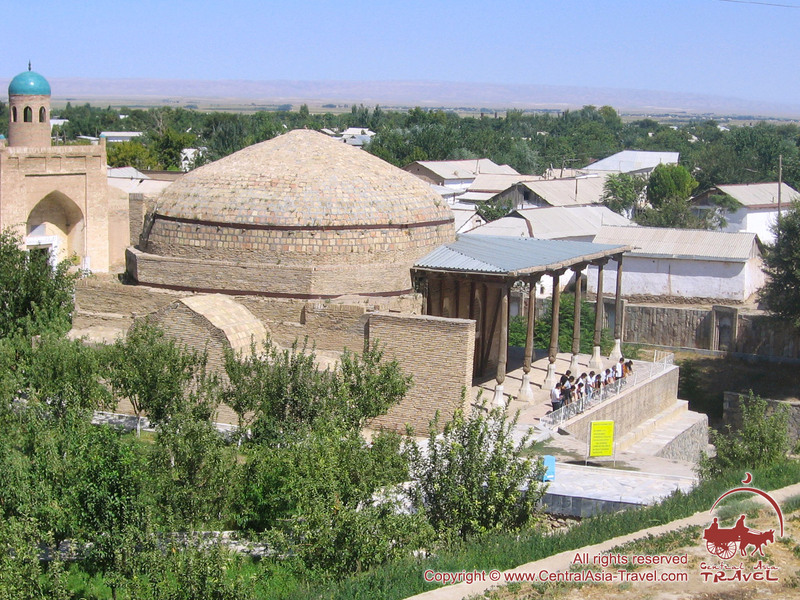 Namazgokh mosque is famous for its unusual roof, decorated with twenty five domes. In 40 kilometers from Nurata, on Southern slope of Karatau mountains, it is possible to see the rock paintings, which scientists date back to the Bronze Age. Some of them are dated back to the Neolithic and Eneolithic eras. 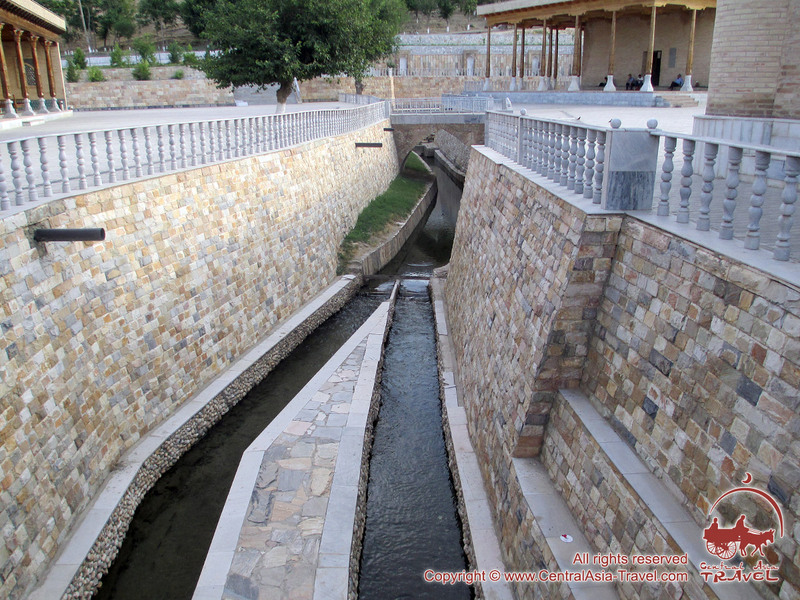 The paintings decorate the steeps of Sarmish gorge. More than 4 thousand pictures of different subjects, topics and style, will appear in front of tourists’ look, who decided to visit this amazing place, considered to be sacred in ancient times. 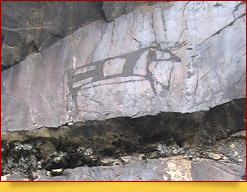 Various ceremonies and rituals performed here were implemented in rock painting. 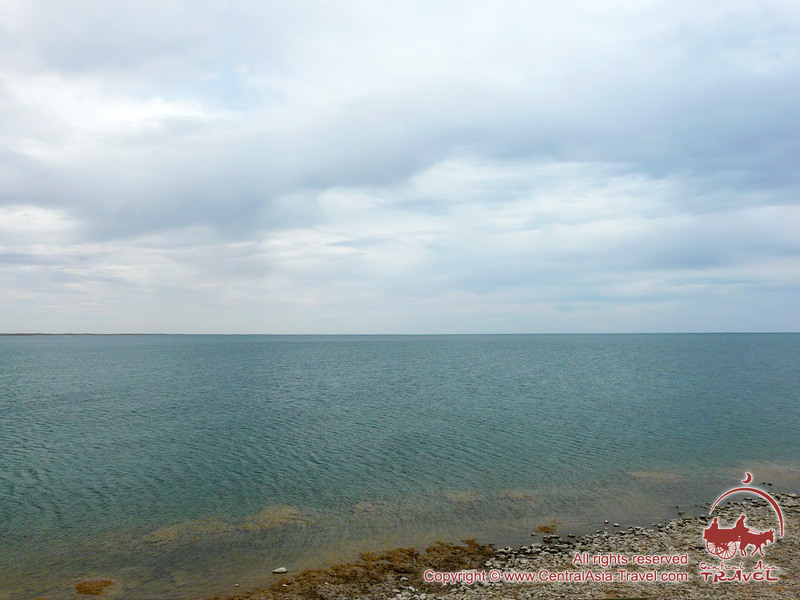 In 50 kilometers from Nurata, among the sends of Kyzyl-Kum there hides a pearl of the desert - Aydarkul lake (a part of the man-made Aydar-Arnasay system of lakes). Local residents poetically name it turquoise “sea in the sends”. Guests of this place may swim in limpid water, have rest on the clearest sand beach or fish. It is possible to catch here such fishes as asp, zander, carp, sheatfish, small bream. Peculiarity of the lake is that near to it there dwell more than a hundred of types of water and waterfowl birds. Eleven types of them have been even included into the IUCN Red List (IUCN Red Data Book). The world of mammals is also rich - in the surroundings it is possible to meet wolves, foxes, jackals, wild boars, muskrats. 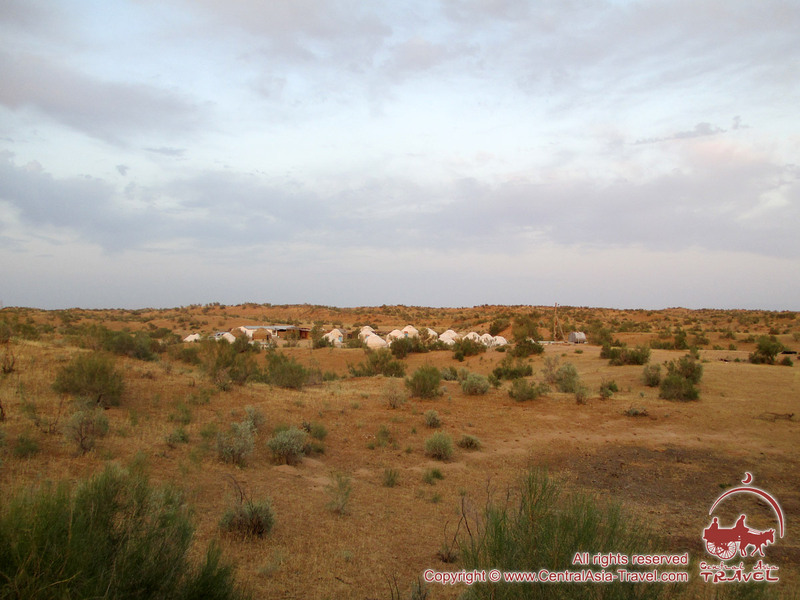 Significant yurt camps are located in several kilometers from Aydarkul lake, attracting tourists with their originality and national coloring. 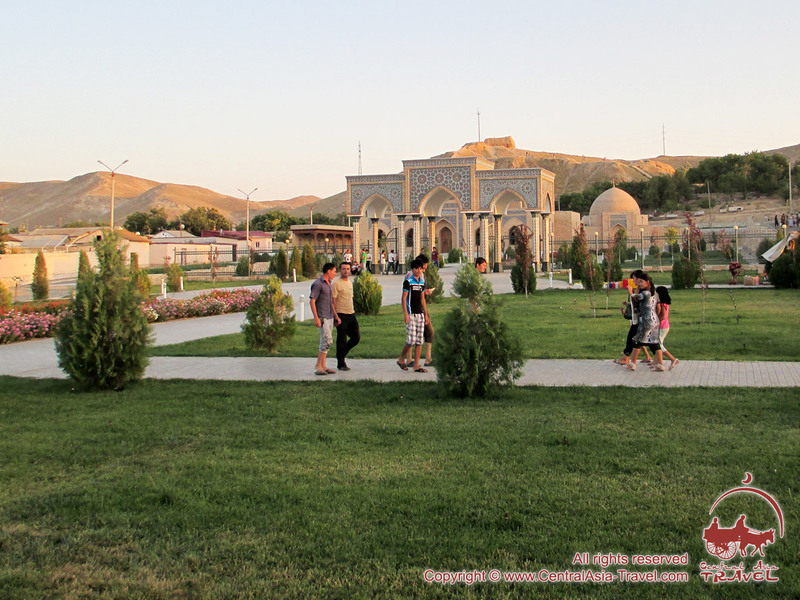 Here a traveler may utterly enjoy the atmosphere of this place, the wonderful Uzbek cuisine and make an unforgettable trip along the ways of ancient caravans on camels.